The Professional Fighters League (PFL) took one step closer to launching their inaugural season when 22 fighters took to the stage in Chase Square at Madison Square Garden Wednesday afternoon, a day ahead of the highly-anticipated regular season debut of PFL. The updated 11-bout card featuring PFL featherweights and heavyweights became official after undefeated Long Island-native Andre Harrison and Juma Tuerxun hit their marks. Fans are eagerly forward to the match-up between Harrison and Tuerxun as they—along with 20 other fighters—compete to earn a place in the bracket-style playoffs and the $10 million championship event. 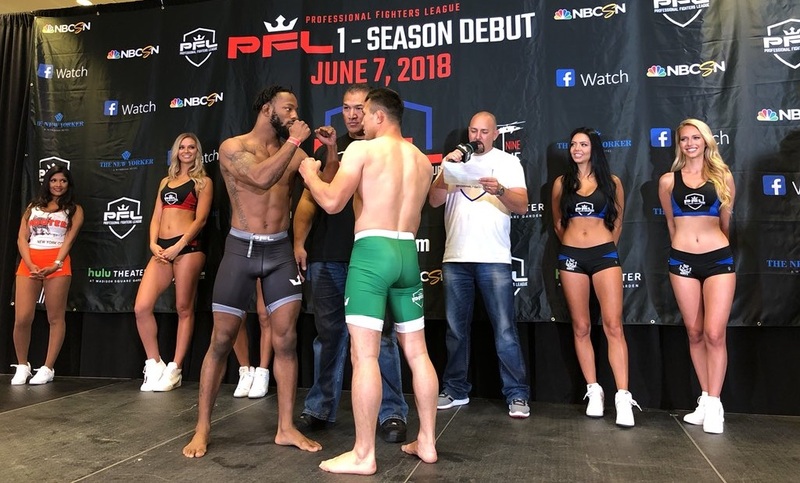 On Wednesday, PFL announced the final card for the debut event, pitting competitors in the featherweight and heavyweight classes as they all battle to ultimately earn a championship title. Andre Harrison (17-0) 145.2 lbs. vs. Juma Tuerxun (20-5-1) 144.8 lbs. Lance Palmer (12-3) 145.6 lbs. vs. Bekbulat Magomedov (19-1) 145.2 lbs. Timur Valiev (12-2) 146 lbs. vs. Max Coga (19-4) 145.6 lbs. Alex Nicholson (11-5) 214.6 lbs. vs. Jake Heun (11-6) 224 lbs. Marcos Galvao (18-9-1) 145.4 lbs. vs. Nazareno Malegarie (28-4) 145.8 lbs. Magomed Idrisov (8-2) 145 lbs. v. Steven Siler (29-17) 145.2 lbs. Alexandre Almeida (18-7) 145.8 lbs. v. Lee Coville (4-1) 143.8 lbs. 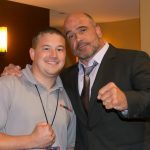 Tickets for PFL 1 are on sale now and can be purchased at www.pflmma.com and www.ticketmaster.com.